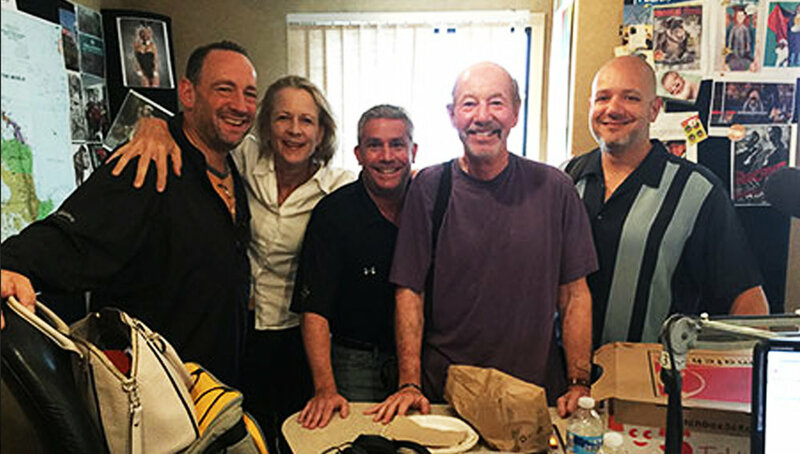 Tony Kornheiser is one of the most recognizable and outspoken commentators in sports and entertainment. The Tony Kornheiser Show, available with original episodes publishing every day, Monday- Friday, is now exclusively on-demand. Kornheiser is joined by longtime regulars from the world of sports, politics and news, as well as the wide array of special guests that his longtime listeners have come to expect. The Long Island native hosted “The Tony Kornheiser Show” on radio across a host of stations in the Washington, DC area and on ESPN Radio beginning in 1992, and currently co-hosts one of the most popular sports programs of all time in PTI on ESPN since 2001 with Michael Wilbon. He was also an analyst for ESPN's Monday Night Football from 2006 to 2008. Kornheiser began his career as a writer for Newsday and The New York Times before joining The Washington Post in 1979 as a general assignment reporter in Style and Sports. He became a full-time sports columnist in 1984 until leaving The Post in 2012 with one of the most impressive resumes in journalism. Here’s a list of our current “in studio” regulars. Let us know if we’re missing any of your favorite facts about our friends. #JoinTheConversation. Mr. Tony—the orange one (Satchmo and TKStackMoney); constant recipient of bites from Chessie; will likely turn any news event into a pertinent story about his life. @[could not be found] Social Media? That doesn’t sound like a good idea. Nigel—like the monoliths of Stonehenge, nobody knows how or, more importantly, why Nigel is here. Raised in the streets of London, he worked as a chimney sweep as a child, and then later in the coal mines of Northern England. In the US illegally, he hopes one day to marry a Kardashian to attain citizenship. Chris Cillizza (Lace)—Political Reporter and Digital Editor-at-Large for CNN; product of a Connecticut prep school education (alumnus of the Loomis Chafee School for the Rich); swam in Diana Ross’s pool; pained Hoya Saxa fan; prefers to sit in the #SeatsofChrisCillizza behind home plate at Washington Nationals games and watch "Dawson Creek" reruns by himself. Howard Fineman—Pittsburgh’s own! ; the intergalactic editor of The Huffington Post; charter member of The Classics; father of celebrity-intern, Nick Fineman; sneaky good at political impersonations. Torie Clarke—raises her hand to ask questions; brings notecards as she did for famous politicians she prepped; adds the ever important “mom factor” to all discussions. David Aldridge—DA—born and raised in Washington DC; product of DeMatha High School and THE American University; currently works as a reporter for the Turner networks; has worked with Tony for nearly thirty years and is still totally dismissive of most of his opinions; inducted into the NBA Hall of Fame in September 2016 but reluctant to brag about it on air. Liz Clarke—writes mainly about the Redskins for The Washington Post but also covers tennis, soccer and the Olympics (ask her about her luggage in Rio); quite possibly the #1 Springsteen fan; her sighs will melt your heart; so literate you can almost see her build her sentences like an architect of brilliance. Jeanne McManus—Tony’s long-time editor through thick and thin at The Washington Post; a cook, painter and one of the great barmaids in Vermont history; the only one who can tell Tony when he’s full of it; cannot stay away from bacon sandwiches. Leon Harris—the best pipes in the business; talks about wanting to play golf but refuses to get out on the course with Mr. Tony. Let’s pour one out for our recently departed colleague, Kip Sheeman (@kevins980), whose forecasts of “something interesting” on the horizon still send shivers down Mr. Tony’s spine. REGISTER FOR THE NEWSLETTER AND FREE STUFF!